Travels always incorporate shopping – it may be for the reason of wanting to get a souvenir from your trip or bringing home some ‘pasalubong’ for your loved ones! Whatever your reasons are, if you will be doing it Korea, here are some ways to maximize your budget. ‘Tax refund’ process is actually easier than most people think. 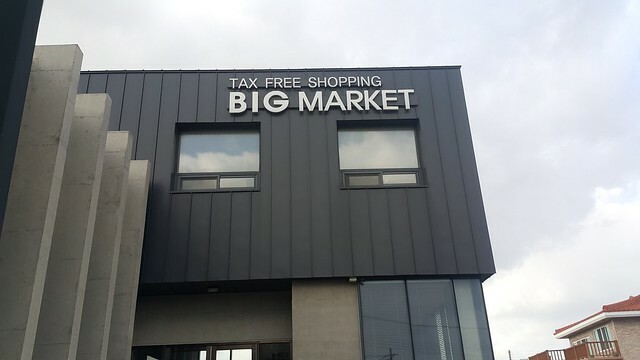 There are shops that already indicate they are ‘Tax Refund/ Tax-Free Shop’ and will give you coupons that you need to present once you pay for your items. Make sure that the items you bought accumulate at least 30,000 won (1,500 PHP) and a maximum of 200,000 won (10,000 PHP) on single receipt purchase. Also, the total amount of all your receipts would only reach 1,000,000 won (50,000 PHP) for the entire duration of your Korea trip. Keep the receipts along with the purchased goods. You must present the VAT refund receipts to the customs officer to get the Customs Export Approval stamp. You may use the kiosk for a total refund of less than 75,000 won (3,750 PHP). There are also tax refund booths that would assist you in the process. If you are sick of processed goods, then the traditional market is the best place to be. Aside from supporting small businesses, you can also get items at a lower cost. Also, there are items that you can only find in these places so keep an eye to it! 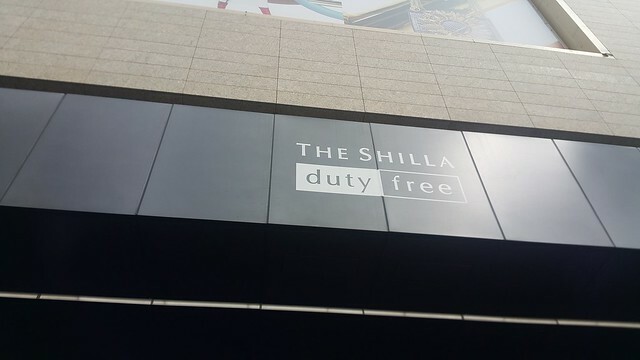 The best part is that compared to huge shopping malls and shops, you can ask for discounts here! 좀 갂아주세요. (Chum- Kakkajuseiyo – Please give me a discount!) As for the shopping streets, holidays also mean bigger discounts for shoppers! You are pretty much lucky if you read through until here. 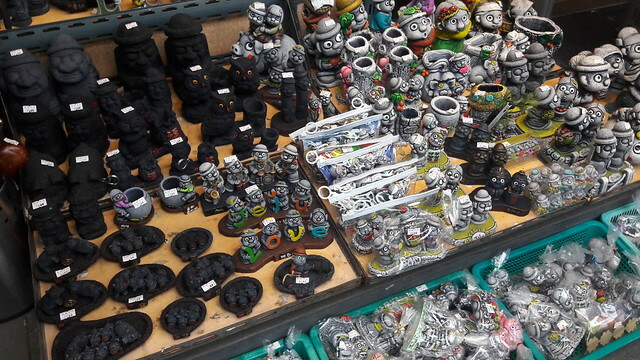 Even though there are ‘tax-free and tax refund shops,’ you can notice easily that souvenir and some goodies are still cheaper on local stores located at famous landmarks. I, myself got to experience buying the same item with a doubled or tripled price from the tax refund shop than in a local store. Make sure to check the prices of the items you are eyeing to score the cheapest ones! If you’ve been reading the KREW blog, you might have browsed through “10 Korean Phrases-ASAP!”. Now, it’s time to bring another 10 K-phrases to the table, this time with food! Let’s first define terms : “먹방” (meok bang), means “eating program”. This term comes from the combination of two words “먹어” (meogo) meaning “eat” and “방송” (bang song) meaning show or program. 1. 맛있겠다 (ma si get da) | Looks Delicious. I’m sure with the recent meokbang trend in Korean variety, you got yourself saying “맛있겠다”-a hundred times! This is one of the reasons I have a love-and-hate relationship with meokbang shows because they never fail to make me crave for K-food! What’s worse, is if that K-food is hard to find in Manila! 2. 배고파요 (bae go pa yo) | I’m hungry. Have you heard of the four stages of meokbang? First, you watch your favorite meokbang show. Second, you start to crave for the food you see. 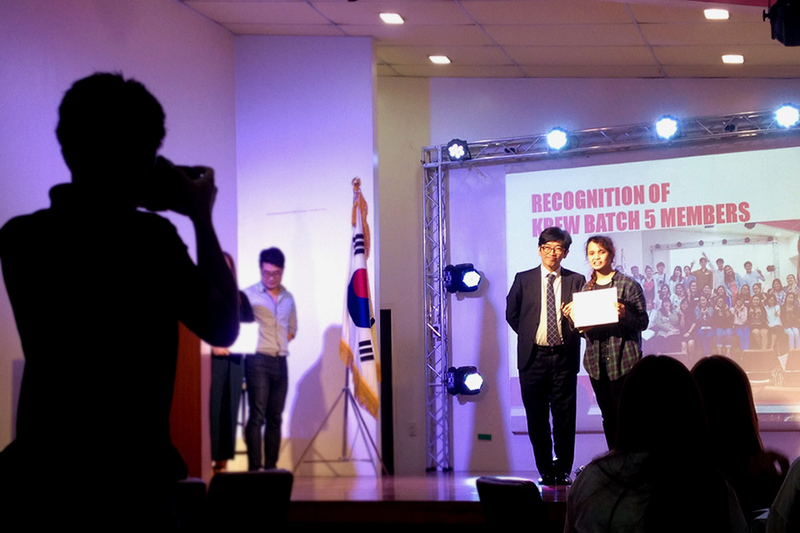 Third, you go crazy trying to find a Korean restaurant here in Manila- that delivers. Finally, you suddenly feel “배고파요”- even though you just ate lunch. I went through that over my jjajangmyeon craving! 3. 배불러요 (bae bul leo yo) | I’m full. This phrase, “배불러요”, on the other hand, is what you might say after you eat…again. 4. 같이 먹자 (gat ji meok ja) | Let’s eat together! If you want to invite your friends over your own meokbang party, just say “같이 먹자”. Formal: “같이 식사해요” (gat ji sik sa hae yo). 5.밥 먹었어요? (bap meok eos seo yo) | Have you eaten? Literally “밥” (bap) means “rice” but, it can also pertain to “food” in general. So when you see your friend glaring at you, as if she is about to “devour” you while you eat- probably she hasn’t eaten yet! Might as well ask, “밥 먹었어요?”, and share your food. If you’re the one asked, you can reply, “네 먹었어요” (ne meok eos seo yo) meaning “Yes, I already ate”. Formal: 식사하셨어요? (sik sa ha syeos seo yo). 6.잘 먹겠습니다 (jal meok ges seum ni da) | I will eat well. Said before every meal, this phrase is a very important part of the Korean dining culture. You say, “잘 먹겠습니다” to show your appreciation to the one who prepared your meal. This also means that you’ll enjoy eating it. 7.잘 먹었습니다 (jal meok got seum ni da) | I’ve eaten well. After enjoying a hearty meal, you say “잘 먹었습니다” showing your gratitude to the one who prepared your meal. This also can mean you compliment the cook’s skills. 8.맛이 있어요 (mas si is seo yo) | It’s delicious. Nothing can express your happiness after eating your favorite food than complementing it’s taste, “맛이 있어요”. No offense but, if it’s bad then you have to say “맛이 없어요” (mas si eop seo yo), “It’s not delicious” or literally, “It has no taste”. 9.짜요, 달아요, 매워요 (jja, dal a yo, mae uo yo) | Salty, Sweet and Spicy. Since Korean food often revolves around salty, sweet and spicy food, it’s important to know how to say them, just to express what you might taste! 10. [FOOD] 더 주세요 (deo ju se yo) | Can I please have more of [FOOD]? Lastly, when the cravings doesn’t stop and you’re still not “배불러요”, you can always ask for more, [FOOD] + 더 주세요. Ex: 물 더 주세요 (mul deo ju se yo) | Can I please have more water? Architecture is encountered in everyday life of people. But more often than not, people do not identify architecture as something significant in their lives. Architects are the ones who conceptualize and create the spaces where people live, play, work, or relax. In building residences and establishments, a place is not only meant to be just four walls and a roof. In fact, these spaces are developed because for the users to experience the best it can be. For the architects to achieve success in this quest, they think of ways on how the air will circulate, how light can be utilized well, the amount of electricity to heat and cool a place, and other important considerations to make a great impact in designing the space for people. 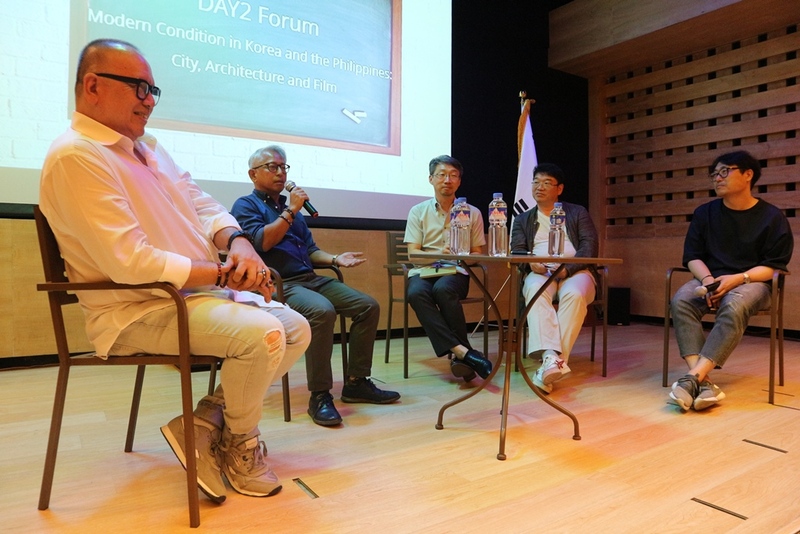 And this is what the second day of the Korean Architectural Film Festival rigorously showed through films and discussed during the forum in partnership with the Film Development Council of the Philippines (FDCP) at FDCP Cinematheque Manila last June 2, 2018. 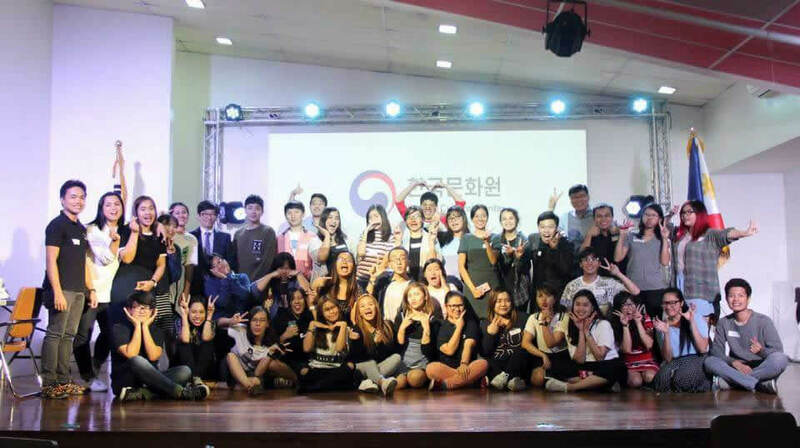 The program started with the welcome speech of Korean Cultural Center (KCC) Director Lee Jin Cheol, who shared how much he wanted to share a different perspective of Korea to the Filipino audience. He mentioned that when people talk about his country, the things that first come to mind are K-pop and K-dramas, both are just fragments of what Korea really is. Through the architectural films that were hand-picked by KCC, Korea’s unglamorous side, which is often blocked or covered by the luxurious lifestyle and landscapes of Korea, was shown. To start the second day of the festival the movie ‘City: Hall,’ which was directed by Jeong Jae-Eun, was shown. Under the amazing city space and prestige of Seoul were hidden conflicts on some of its architectural spaces. The documentary explores the complicated system of Seoul’s explosive development to make a modern city hall that is fitting to its international reputation. However, with the ever-changing plans, there was additional cost burden because of many ridiculous adjustments largely influenced by politics. The project took longer than expected because there was no contentment with the results. The project took longer than expected because there was no contentment with the results. Opinions of netizens were also asked. Some people don’t see how such show of extravagance represents the people of South Korea. In fact, they think the government should’ve allocated the budget to alleviate issues such as poverty and rising unemployment. The next film that was shown is ‘The Architecture of Time’ featuring the works of Itami Jun. He is an award-winning Korean – Japanese architect who created architectural landscapes on Jeju Island. The focus of this film is the Stone, Wind, and Water museum. The film was slow, intense, and has slow progression focusing on every aspect of the architectural elements and showing how the key features of the landscapes complement nature. 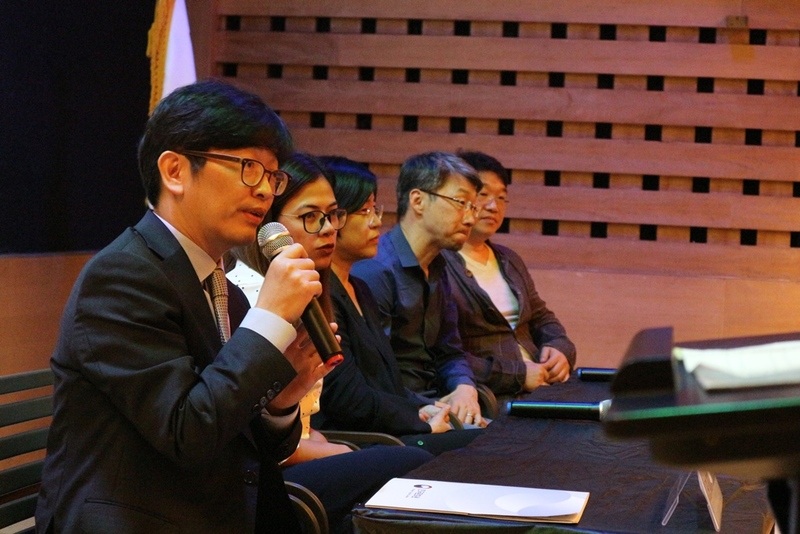 After the two film screenings, KCC and FDCP prepared an Architectural Forum which delved into the ‘Modern Condition in Korea and Philippines: City, Architecture, and Film.’ Korean panelists present were Yun Jae Seon of Seoul International Film Festival; Kim Young Woo of Busan International Film Festival; Kim Jeong In of Soongsil University. 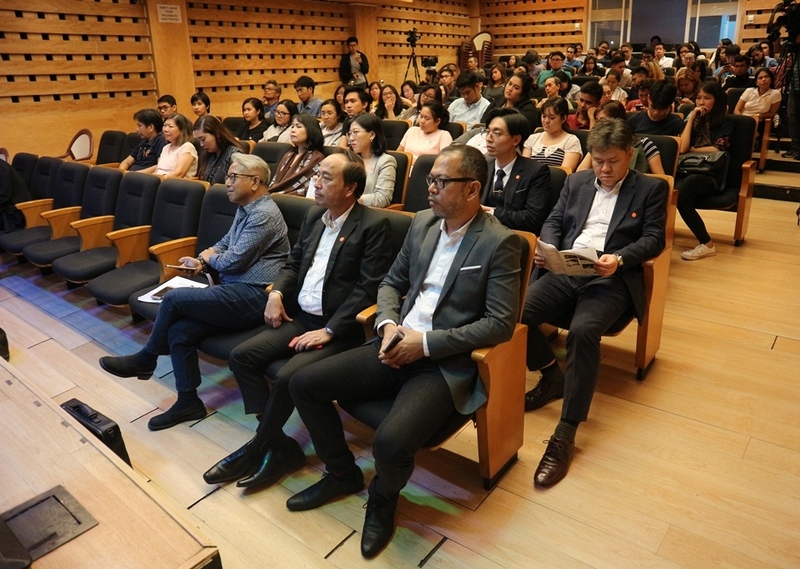 Filipino panelists namely, Architect Gerry Torres and Director Jose Javier Reyes, both are professors from De La Salle-College of St. Benilde, were also invited. Some of the notable things mentioned were the subway lines of South Korea which resulted in unique and contemporary spaces present today. 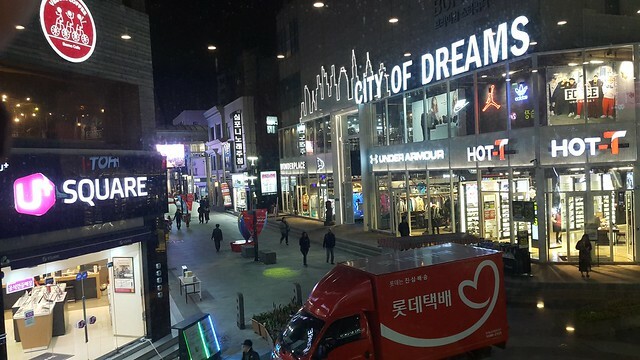 Korea can be divided into two architectural landscapes the old historic districts and the modern area where trendy things exist. To show this, ‘City / Sharing’ movie trailer from the 9th Seoul International Korean Architecture Festival was played. In order to make the film possible, poets were asked to write about Seoul. 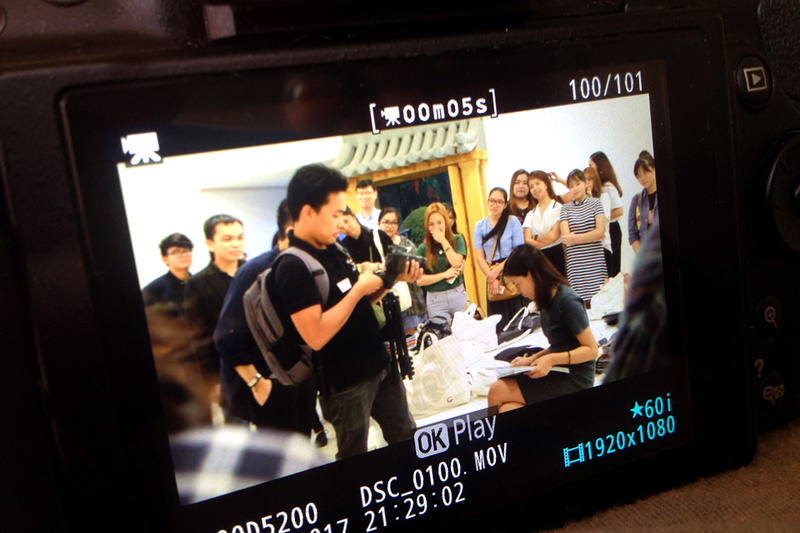 After the poem, architecture students who are interested in filmmaking were asked to explore places in Seoul and match the expression of the poem. 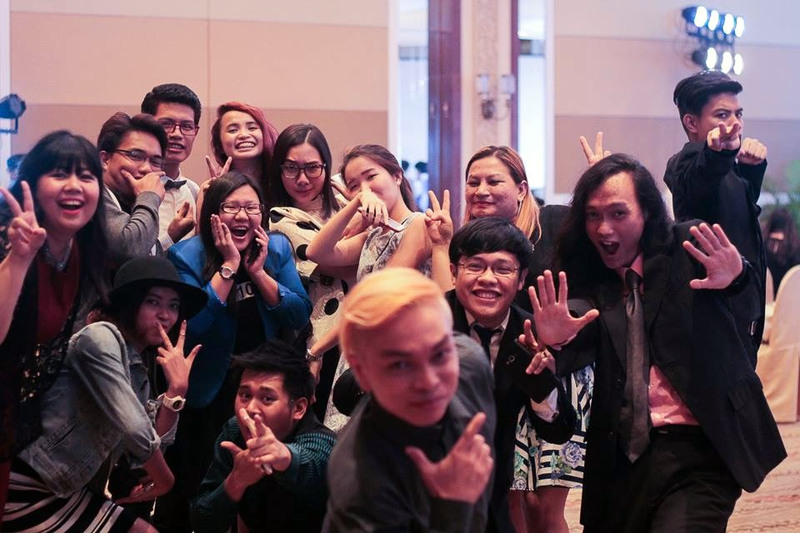 At the end of the film, it interpreted the relationship between the students and the city. 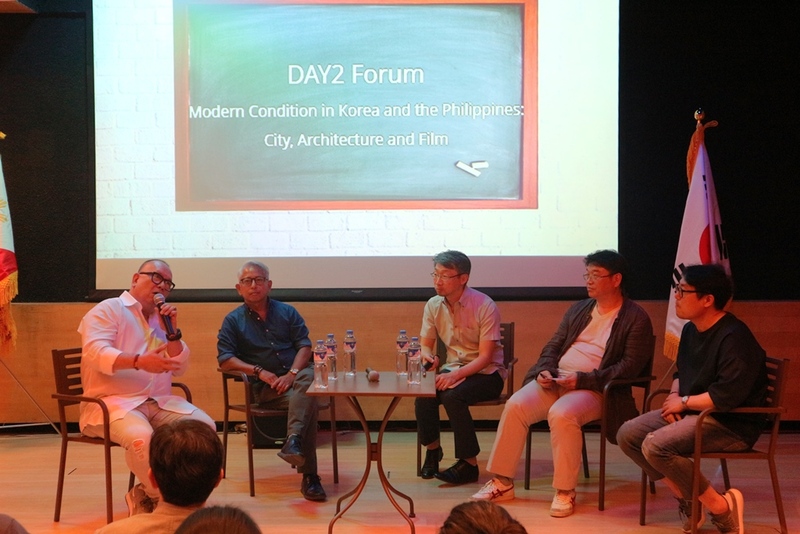 As a response, Direk Reyes agreed that architecture has to have a purpose – it captures history and culture of memory. He added that old cityscapes remind people of an era, of fond memories they have experienced in that place. However, he emphasized the conflict of giving personalities to architectural landscapes because the current Filipino architecture set up is trapped or caved in a wall, forced to settle for mediocrity because of utilitarianism. Arch. Gerry Reyes added that architectures today are political, and the only option to preserve the memories of old architectural landscapes once they are destroyed is to record it through films. Korean panelists also mentioned an interesting term on the majority of housing present in their country. More than 50% of Koreans live in a collective housing (also called condominiums in the Philippines). In the Philippines, 20% of the housing options are collective housing or condominiums, and the demand for it is increasing. All panelists agreed that collective housing or condominiums have negative effects on people. These high-rise buildings somehow promote less communication, depression, among many other things to an individual. They also mentioned that single-family homes enable people to plant trees, have pets such as dogs and cats, and play with kids in the backyard which they cannot do in a collective housing or condos because there are restrictions. People are always conscious of their actions. There is also a little chance to fully express themselves because of the thin walls that separate them from other people. After the forum is the discussion of Architect Danilo Silvestre about ‘Architecture and Film: Juxtapositions and Synergies.’ He shared the evolution of being able to make visions come to life. He presented different architectural designs, mostly from the film Blade Runner 1982. Further, he mentioned that with technological advancement, making complicated architectural designs faster is now increasingly possible. Also, he cited that most people do not perceive a building through its design but the emotions, activities, and memories it triggers in one’s memory. 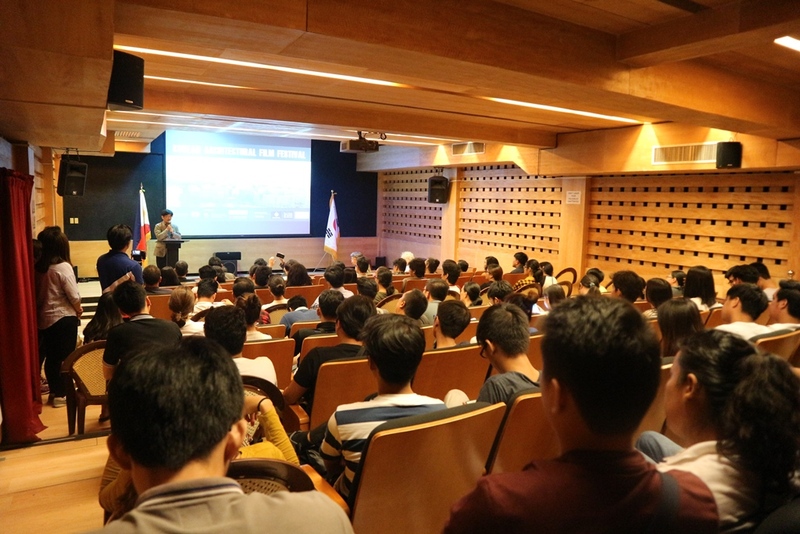 A video documentary ‘Arkitekturang Filipino’ by Gerald Lico was shown after the lecture. It dedicated itself to the essential question of whether there is really a thing called Philippine architecture. This strong sentiment may perhaps be rooted in every Filipino as we strive to have a distinctive identity as a nation. Ancient photographs and archived materials were examined to understand how Filipino culture and beliefs contributed to the geographically unique Filipino architectures. For the last film, ‘Korean Architecture Today: The House’ directed by Dawoon Jung and Jongshin Kim captured two remarkable landscapes: the Hyundai Capital volleyball team Skywalkers training and residential building the Castle of Skywalkers by Doojin Hwang as well as the recent Hanok (Korean traditional housing style) project called House of Prajna by Hyoungnam Lim and Eunjoo Roh. It highlighted the visions of the architects and how deeply rooted traditional structures and way of life are even with Korea’s modernization. These are the words that Chairperson of Film Development Council of the Philippines (FDCP) Liza Diño said as she shared her thoughts on what made her agree to team up with Korean Cultural Center (KCC) for the first ever Korean Architectural Film Festival in Manila last June 1 to 3 at FDCP Cinematheque Centre. 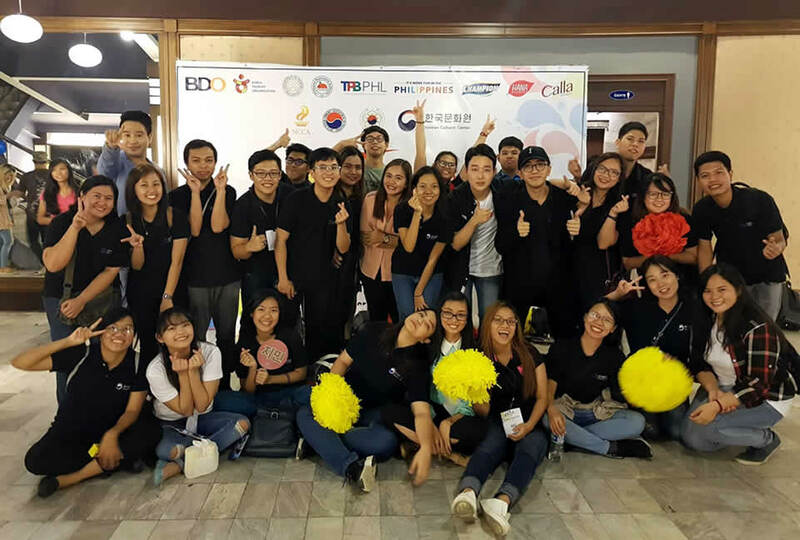 Together with Seoul International Architecture Film Festival, this event is the first of its kind outside of Seoul. 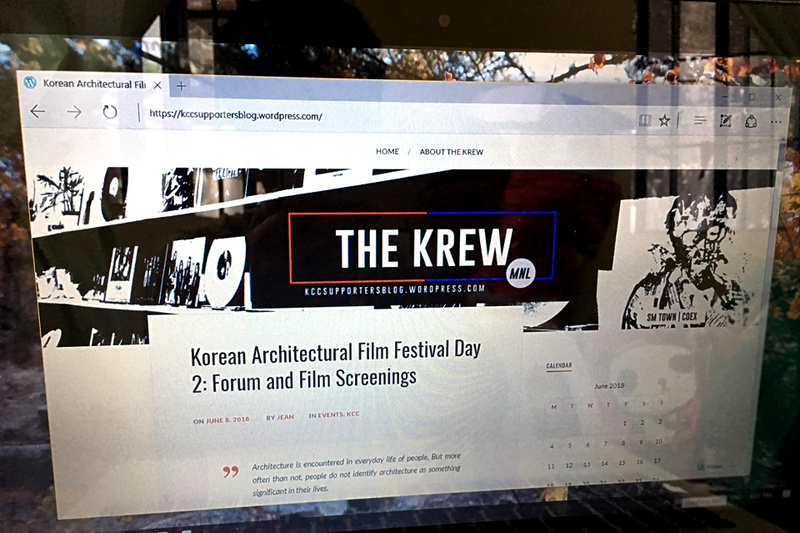 Featuring four Korean and two Filipino architectural films, the goal of the festival is to awaken the awareness of Filipinos on how to improve the efficiency and dynamism of a certain country like Philippines and Korea through architecture and film. 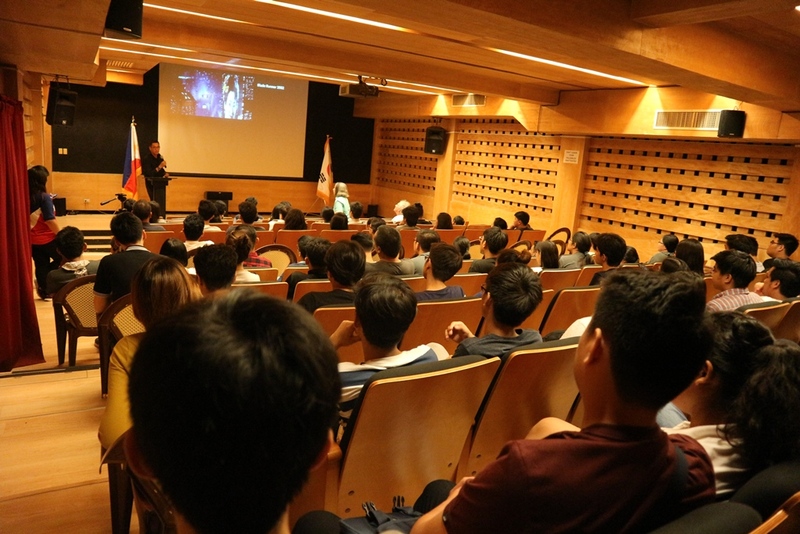 Architect Harry Joseph Serrano, Chairperson for Architecture Program of De La Salle College of St. Benilde, emphasized the similarities between film and architecture in terms of process, design, and storytelling. However, a film is more effective in terms of message delivery. Through this festival, people will understand the importance of architecture easily through the featured films. 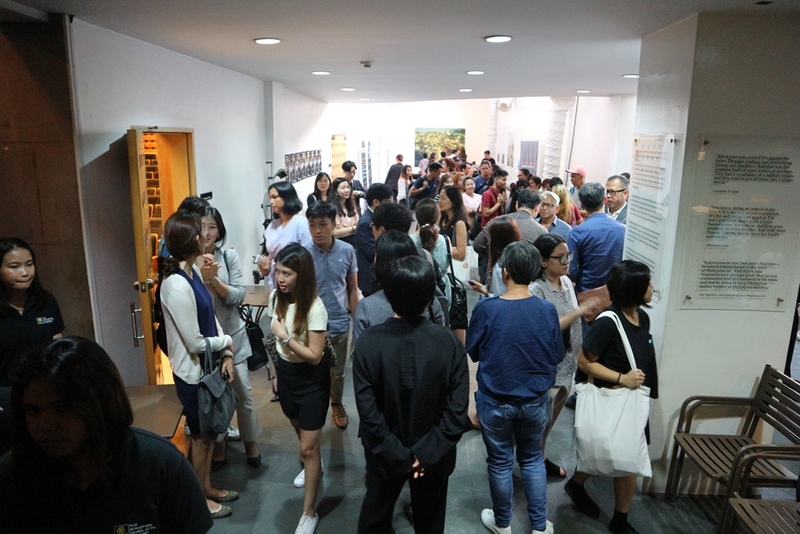 Right after, an Architectural forum under the theme ‘Architecture, Urbanism, and Film: Another mode of living’ was held. 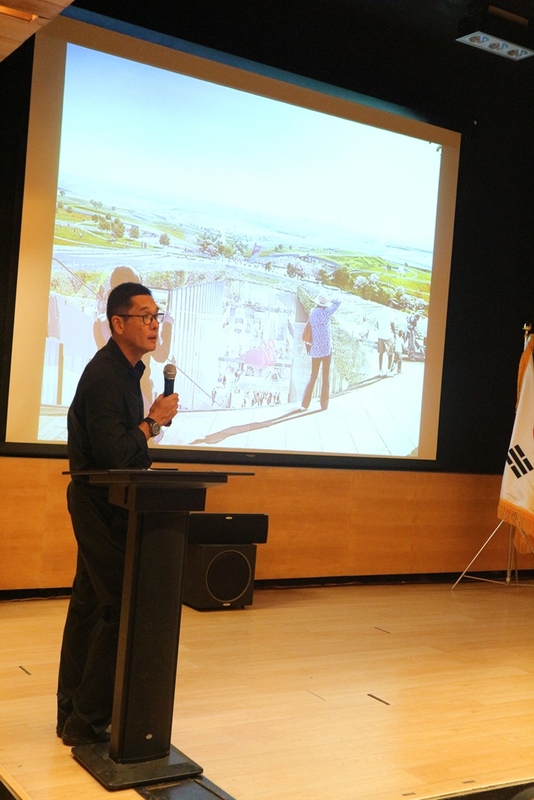 Kim Jeong In of Soongsil University gave a background on Korea’s history, the involvement of culture and modern design that helped in the architectural ideas of Seoul. During the discussion, structures constructed in Korea during the ancient time and the present time were compared. 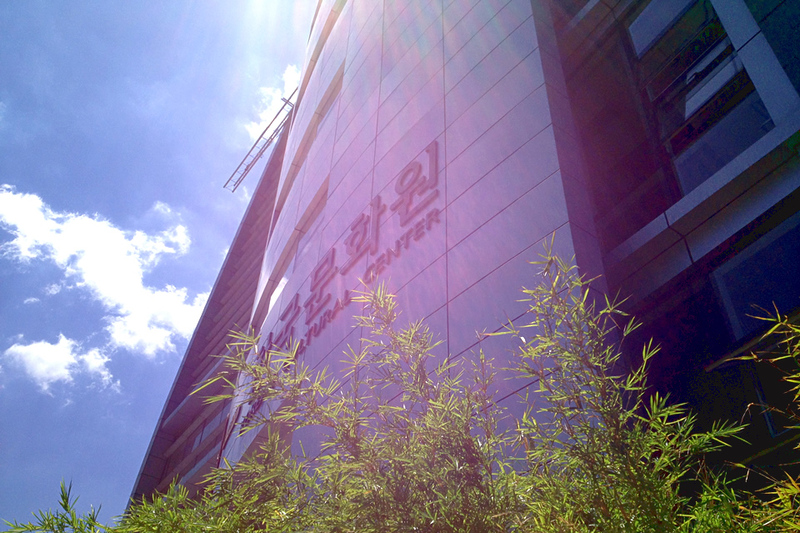 He believes that the global adaptation of Korean designs drastically contributed to the progress of the country. 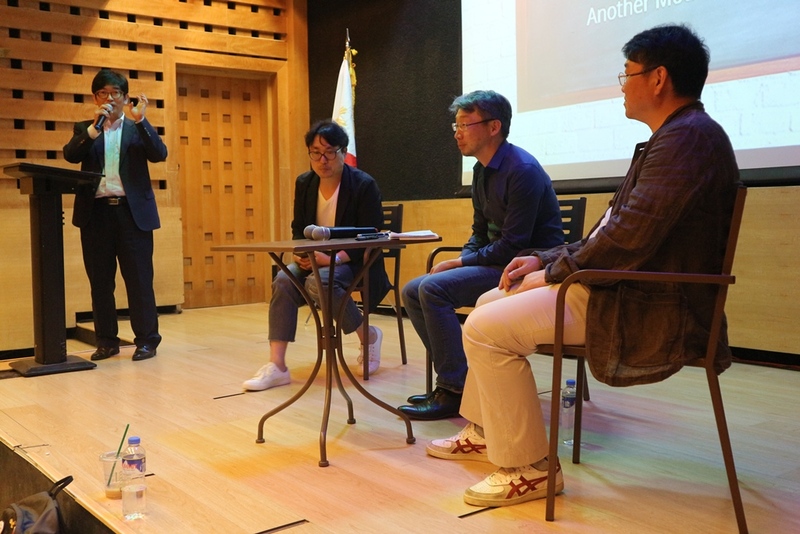 Together with him are panelists Yun Jae Seon from Seoul International Film Festival and Kim Young Woo from Busan International Film Festival who both focus on how films can become a medium for the people to appreciate architecture and design. After the forum, the film ‘Ecology in Concrete’ was screened followed by a director’s talk with the film director Jeong Jae Eun. 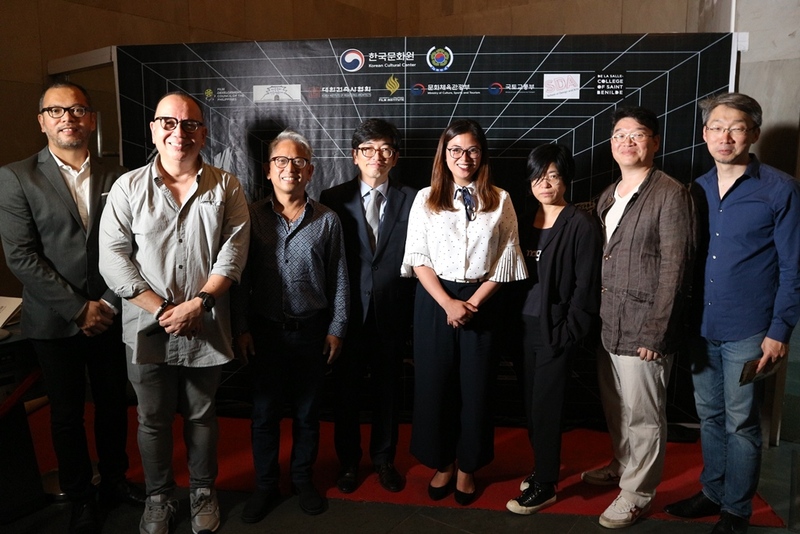 Aside from the series of screenings and forums, a photo exhibit titled ‘Mega Seoul 4 Decades’ featuring the photos of Korean photographers Kim Kichan, Lee Gapchul, Koo Bohnchang, Bang Byungsang and Ahn Sekwon about Korea’s urban and rural structures was also prepared to the public. 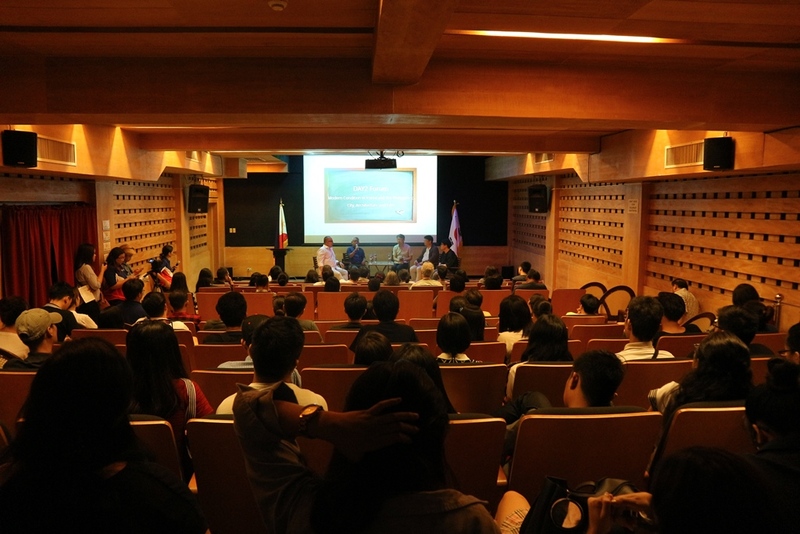 Capping off, a Chimaek (Chicken and Beer) party experience was organized as a way for Filipinos and Koreans to interact and discuss further the film. This tradition is quite a hit now in Korea as they enjoy Chimaek usually after watching a film. 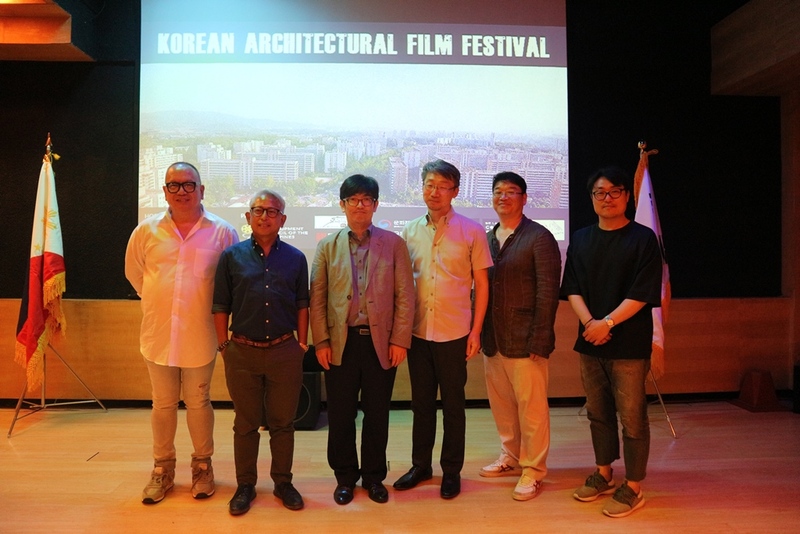 From left: Architect Harry Joseph Serrano, Movie Director Jose Javier Reyes, Architect Gerry Torres, KCC Director Lee Jincheol, FDCP Chair Liza Dino, Movie Director Jeong Jae Eun, Yoon Jae Seon and Kim Jung In.